Summer is my favourite season of the year, even in San Diego where the sun shines pretty much all year around. This summer looks particularly busy and exciting for me and my fellow Dames. We started off with an amazing 2-weekend show in collaboration with the gorgeous ladies of Pixie Stixx Burlesque Revue. It was a first for the San Diego burlesque scene and it turn out ot be a very successfull production with a battle to the last pasty between the classic style of the Dames vs the neo style of the Pixies. I enjoyed revamping my tribute act to the talented Rita Hayworth in Lady Trinidad with a new super fluffy feather boa and the precious pearl costume made out of pearl strings from my dear friend Sarah Collison’s wedding (great way to celebrate the imminent arrival of her first baby boy in few weeks. Congratulations!). On the second night, I performed a super fun act with my fellow Dame and DDD producer Eva Mae Garnet called “In the Garden”. It has quickly become one of our favorite acts and we will perform it again this summer. Finally, we revamped our Flamingo group act with new over-the-top pink costumes and head pieces constructed by the multi-talented Eva Mae Garnet and we closed the show with a special group perfomance with the Pixies. Too much sass on that stage all at once! 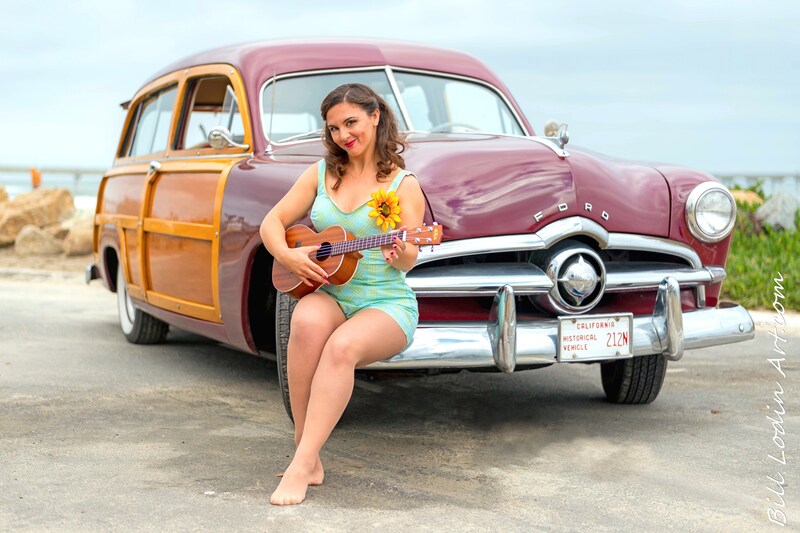 First a special VIP Tiki-themed event at the Cat Eye Club on July 19th at 9pm. There are only 30 tickets available at 40$ so it is a show you do not want to miss. 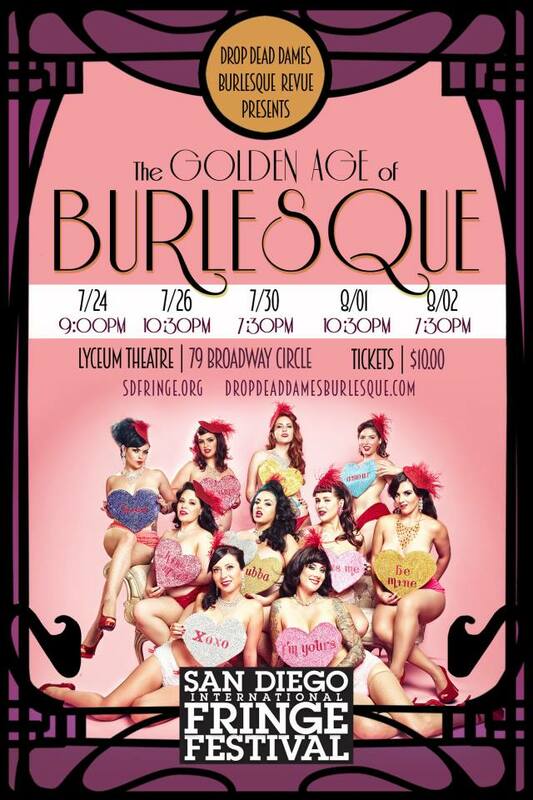 This year the Dames will be aprt of the San Diego Internationl Fringe festival with a 5-night show celebrating the Golden Age of Burlesque at the Lyceum Theatre. Classic old bump-n-grind that will shake you to the bones. Tickets are ONLY $10 and are already on sale! In August, some of your DDD will also make an appearance on and off stage of the famous Tiki Oasis and keep an eye open for information about the Spirit Festival, where DDD will be healiner performers for the third year in a row! We have plenty of events and news into the fall but I will update you later on. I hope I will see many of you at our shows around San Diego this summer.